Indoorway is a Business Intelligence solution designed to improve performance and safety of any space. It uses radio technology, powerful API and secure data environment for analysis of people’s and other object’s movement inside indoor venues. The indoor positioning and indoor navigation technology can also be used by mobile app developers for creating location-based services. We make Bluetooth-based indoor navigation fully practical. First of all, we’ve lowered the number of needed devices, which makes Indoorway even 3 times cheaper than other indoor positioning systems. At the same time, our solution is twice as precise. Thanks to unique sensor fusion, which blends data gathered from mobile devices, gyroscope, accelerometer, geomagnetic field and beacons, Indoorway delivers 1-2 meters accuracy. What’s more, anyone can try Indoorway for free! Location-based services and IoT solutions are becoming more and more popular. Our versatile offer makes them practical. Not only do we deliver a ready-to-deploy SDK for app developers, but also fully-featured applications and B2B services that include the whole process of implementation (installing hardware and software setup). Besides, Indoorway’s developer-friendly interface lets anyone build digital indoor experiences and get real-time business insights about their property. You can seamlessly smarten up any physical indoor space with our tools and immediately improve customer satisfaction. Our HQ is in Warsaw, Poland, but we operate worldwide. 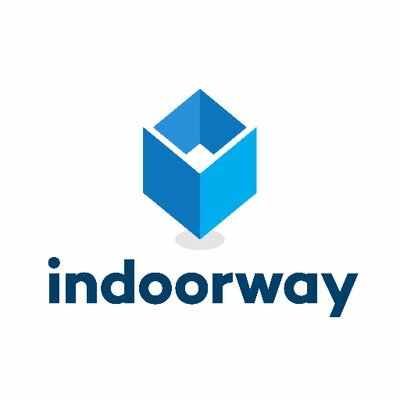 We also have Indoorway Team members in Spain and Australia. Indoorway was launched in July 2017, and our latest product Indoorway Industry 4.0 (a complete B2B solution for manufacturing and logistics sites) mid-October 2017. The biggest wins are new customers and successful implementations. So far we’ve digitized nearly 1 million square meters. For example, we’ve launched Indoorway Industry 4.0 at Electrolux manufacturing site, where traffic analysis helps to optimize production processes. And the first results are great! We’d like to reach estate owners and property managers, who want to digitize their spaces. As far as branch is concerned, many types of indoor venues can benefit from our traffic monitoring and tools for in-depth analysis. In shopping malls, for instance, the system will navigate customers to shops or parking lots. It will take communication with visitors to a whole new level by sending customized, location-based push notifications to end-users’ mobile devices. At airports and train stations, where time is of the essence, Indoorway can lead passengers through busy and crowded places. It may optimize the performance of factories, manufacturing sites and logistics hubs or serve as a digital assistant in offices, museums, hotels and any other public spaces, where comfort might be improved. Additionally, we want to attract developers and software houses, who create apps for their clients. We give them access to a robust code, continuously improved APIs and clear documentation. Our SDK has been created by developers and for developers, so the deployment process is quick, transparent and intuitive. What’s important, we run a special Partnership Programme: developers can get extra cash for using Indoorway in the apps they build for their customers. Be flexible, keep your eyes open and always answer to the actual needs of your customer. The most convenient and effective way of creating new products is cooperating with your clients or end-users. They know the best what they need from your technology and how much they can spend on it. Currently, there are 20 people working for Indoorway. We’re a unique blend of passions and talents. The company is run by Grzegorz Koblaski, who’s been trained as an engineer and used to work for The Boston Consulting Group in Warsaw, where he has been responsible for digital transformations of financial institutions. He’s also created positioning systems for victims of avalanches and other natural disasters. Indoorway is planning to release an app for office management. It will serve as an onboarding support for new employees, a digital map of an office, as well as an innovative help desk. Since our technology is based on Bluetooth, we’re all about BLE-related gadgets. Smartwatches are among our favourites. As IoT freaks, we love testing new products–their integration and synchronization with other devices, such as access controls, movement sensors or lighting systems.